If it wasn't clear already, the message is very evident now: Tennessee is all in on football. On Friday, Jeremy Pruitt parted ways with Terry Fair and landed Derrick Ansley. In a vacuum, the move isn’t a stunner. Pruitt and Ansley have worked together extensively. They've been good friends for years and have spoken regularly throughout Pruitt's first season at Tennessee. So the story isn’t that Pruitt convinced his friend and former co-worker to return to Rocky Top. Good stuff although it seems as though it would have fit well in the other two threads covering this topic. Yeah CPF hasn’t accomplished anything near what Coach Pruitt has lulz. Has it occurred to anyone that CPF has the say so on who is hired, what they make, length of contract, etc. Jesus , if not for him, we wouldn’t have one if the highest paid staff in the country. It might not work out, but only an idiot would say CPF stood in the way of anything his HC wants. KB wears his own mocasins. It certainly seems like we have a real football coach. Looks to me that Pruitt is giving everything he has to turn this around. At this point in time , that is all you can ask for. Heck, I don't mind if they're BOTH calling the shots. Could we be serious about football again? Maybe Jimmy Haslam is too distracted to ruin the last few moves. Its never "appeared" Fulmer was calling the shots to me. It has always appeared that's what some wanted to see just to have something to be mad about and hate on Fulmer.... Along with errythang else. I honestly don't recall his time here. From all I've read this morning, it seems he's a good coach and recruiter. Upgrade it seems. All these moves are encouraging. Turn it into some W's over florida and Bama. I don't have any insider information, but it always seemed that Coach Fulmer was a true CEO-type of leader as the HC. If he is following the same style as an AD (which would be very appropriate for the position), I'd imagine that Coach Pruitt is a happy man. Give your subordinates lots of room to maneuver but still maintain oversight to ensure that all is going in the right direction. Give the subordinate leaders full backing and trust their call unless there is a really obvious signal of a shortfall. 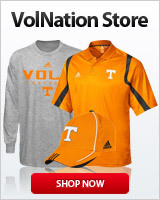 Personally, I feel better with Coach Fulmer as the AD. I wish we had hired him instead of Dave Hart. P.S. I still say that John Currie was the worst hire of all time. Luckily, his tenure was cut waaaaay short by the converegence of multiiple self-imposed disasters at once. How we hired Currie is a mystery to me. LB's and DB's should be legit, moving forward. That's the thing about stinking for so long in football...used to waiting...but definitely appear to be turning the corner. The one thing that Fulmer said before he was AD which always struck me as significant was that he had a really elite group of coaches and recruiters (Clawson arguable), but that when he got fired this group got spread throughout our rivals. I think there's something to that, which is why I think Fulmer is fully supporting Pruitt on all these staff hires. There have been many responses to your post. What should be the easiest negative response for you to understand is "who's the boss?". Remember Coach "P" works for the athletic dept. Up until Butch Jones turned into Butch Jones in the Fall of 2017, most people were very happy with Curry's time at UT. He brought back the Lady Vols name and hired a (what we all hope) is a very good baseball coach and volleyball coach. Had Butch & Co. won 7-8 games on 2017, Butch is still (most likely) the Head Coach at UT and Curry is still the AD. You are right, but ultimately I think these coaches find their level, regardless. Remember folks talking about the Sal Sunseri experiment doing in Dooley, but ultimately, the UT job was too big for Dooley and Butch. The FL job was too big for Muschamp, but SC seems to fit him. With Fulmer offering steadying hand with guidance, Pruitt seems to be one who is up to the task...just need the W’s. Ive never had a doubt he wasn't serious about winning, just have to wait and see if he knows how to, as a HC. ...P.S. I still say that John Currie was the worst hire of all time. Luckily, his tenure was cut waaaaay short by the converegence of multiiple self-imposed disasters at once. How we hired Currie is a mystery to me. I would not debate the merits of Currie. However, the worst was Hamilton. Completely agree! I even said so when Butch was hired. He seemed too focused on stuff off the field. It never "felt" like a good fit between Butch and UT....but since he was UT's coach I hoped he succeeded to avoid the mess we found ourselves in at the end of '17. Pruitt, IMO, seems like a "fit" for UT. I like it that he hates the marketing/TV stuff....just let the man coach football and recruit. I like that Pruitt isn't afraid to shuffle the deck after one season. If it's not working or there's a better way, do it. Keep moving the pieces until you get it right. I just don't get these posts trying to figure out whether Fulmer or Pruitt is leading. They're a team. I really don't care who was first to say "I think Ansley would be a good addition". They're talking with each other and working together to bring in the best assistants they can find. Maybe Fulmer thought of Chaney and Pruitt thought of Ansley. Fulmer and Pruitt have different roles, but they work well together IMO.